The upcoming Final Fantasy VII remake has been anticipated ever since it was originally announced. And with good reason; Final Fantasy VII is a game that inspired thousands of people, and popularized an entire genre. It even inspired many to become developers. Essentially, it’s a game that defined a genre. It’s a game that many hold dear to their hearts – myself included. However, while many met the news of its announcement with joy, some of us remained skeptical. After all, we’ve all seen what a disaster that XIII and its sequels were. Now, it seems as though those people who were skeptical might have been on to something; according to recent reports, the Final Fantasy VII remake is being developed as an action game. This isn’t exactly the best news for fans of the original. But why would fans of the franchise be worried about it being an action game? Well, there are a few good reasons. Since we’ve already brought up the terrible Final Fantasy XIII trilogy, it’s worth bringing up how that might affect the Final Fantasy VII remake; essentially, the developers took the same approach, mixing some familiar Final Fantasy tropes into the action genre. They had had some positive results in Final Fantasy XII, so they took it even further with XIII. Now, it looks like they’ll be using the same formula with VII; taking the characters that we all love, and running them through the same action algorithm that made XIII. If die hard fans are worried, then this is the reason why. Players fell in love with the game due to its terrific characters, sure, but another core reason for that love was the games mechanics. The tension that built up while you were waiting for your character to get their turn. The relief as your healer casts a Cure spell in the nick of time. Planning out your moves as you wait for your characters’ turns. These are what made Final Fantasy VII as lovable as it is. The same can be said for VIII and IX, although VIII’s characters weren’t as great. Now, imagine if it didn’t have any of those mechanics. The entire Final Fantasy franchise would look completely different, as would JRPGs in general. The game was so influential because it was a JRPG and it showed exactly what the genre could do. The fact that it pushed the boundaries and still managed to pull everything off perfectly is why it’s still considered a classic over 20 years later. To remove those features and cast the characters in an action game is to miss the point. Sure, everybody loved the characters, but they’re not what made the game. How you played as those characters was just as much of a factor in the games success as the characters themselves. 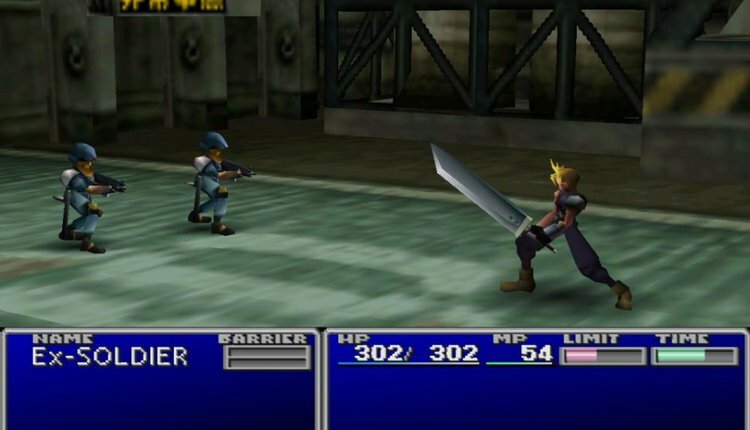 A typical turn-based battle in Final Fantasy VII. Source. If we wanted a Final Fantasy action game, we’d play Final Fantasy XIII. However, players want an old school JRPG with modern graphics. That’s why XIII went down as badly as it did. Most players want that for VII. As an action game, it simply won’t work. I hope I’m wrong about this. Nobody wants the Final Fantasy VII remake to be a success more than I do. If it went well, we could even look at remaking IX. However, it looks like it’s going to go down about as well as a chocobo in a China shop.